BLBCA at Plaid Goat | Backcountry Lodges of B.C. BLBCA at Plaid Goat | Backcountry Lodges of B.C. 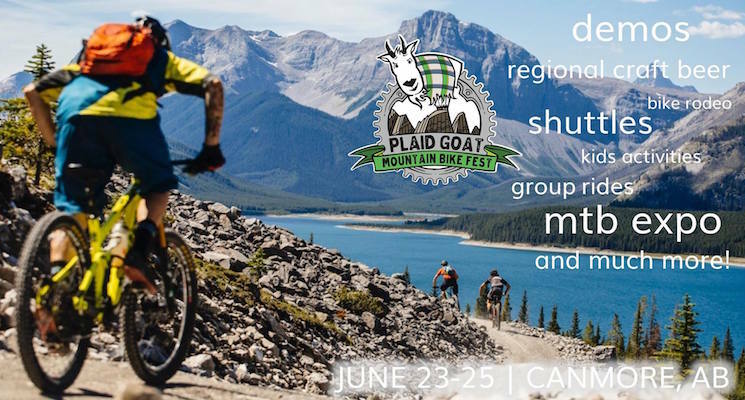 The BLBCA is excited to be participating in the Plaid Goat Mountain Bike Fest this June 23 -25 in Canmore, AB! Plaid Goat Mountain Bike Fest is a three-day festival with a buffet of for-fun activities. The event is a large-scale demo and expo that has a low entry cost and offers different ways to celebrate riding the Rockies. Check out the full schedule. The weekend will include a main expo/festival, shuttles, group rides, a craft beer tent, bike demos for Demo-licious Days wristband holders, coaching clinics & kms on end of great Canadian Rockies singletrack. And a few surprises yet to be announced!